1. All edges have a point of tangency to a unit sphere. 2. The origin is the mean of the points of tangency. 3. Each face is planar. Every convex polyhedron also has a dual, for which faces become vertices and vertices become faces. If the canonical forms of both are combined, the points of tangency to the unit sphere are identical and the edges are perpendicular. There is just 1 tetrahedron. 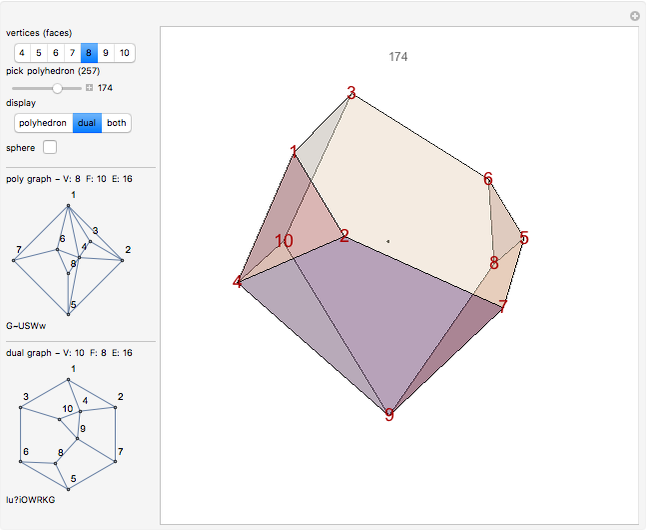 After that, there are 2 pentahedra, 7 hexahedra, 34 heptahedra, 257 octahedra, 2606 nonahedra, and 32300 decahedra. George Hart, Canonical Polyhedra, http://www.georgehart.com/virtual-polyhedra/canonical.html. 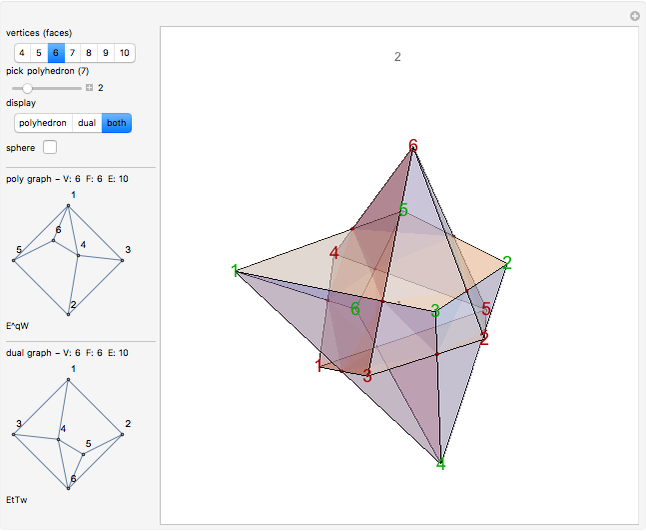 George Hart, Calculating Canonical Polyhedra, http://library.wolfram.com/infocenter/Articles/2012/. 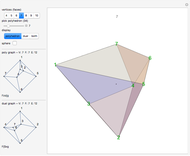 Stuart Anderson, Counting Polyhedra, http://www.numericana.com/data/polycount/. Ed Pegg Jr "Canonical Polyhedra"